IP finance: What really happens to bankrupt brands? "It’s easy to blame a brand bankruptcy on the economy, but it may be more complicated than that. “The brutality of this economy is not only exposing toxic assets, but poorly differentiated brands,” says John Gerzema, author of the best-selling book The Brand Bubble. “Many had a common inability to build strong brand differentiation and lead the consumer forward. Deficits that became that much more apparent in times like these” (“Bankrupt Brands,” TheBrandBubble.com, Jan. 20, 2009). Gerzema’s point is well taken. In his book, Gerzema addresses the changing role of the consumer when it comes to assessing brands. He says consumers “are increasingly acting like investors. They have heightened expectations for brands to continuously surprise, adapt, and evolve.” Brands that go bankrupt, Gerzema says, “aren’t evolving, or aren’t different enough to begin with.” [At this level of generality, this statement is both right and wrong. It doesn't work for brands which transmit the message of constancy through change]. The most telling public proof of Gerzema’s hypothesis is probably the recent stunning bankruptcy of General Motors. With the GM bankruptcy came the demise of several of its storied automobile brands. Even prior to the bankruptcy, GM had stopped making Oldsmobile, a brand that, despite its long history, had become, well, old. [This is an example that works: whether times are good or bad, consumers expect cars to advance in terms of their technical specification and to reflect their ethos. It doesn't work for Jack Daniels though]. The bankruptcy itself, however, killed off Pontiac, a brand many car aficionados would agree was very much a part of GM’s prior success. Pontiac was the “muscle car” to Chevy’s “all-American car.” The Pontiac brand spawned songs like “Little GTO” and became an iconic symbol of the macho male. [This raises another issue. These GM brands are the epitome of the brand that is so tied into North American culture that it is impossible to leverage when opportunities for globalisation appear]. Ultimately, though, Pontiac was a brand stuck in the muddy past, unable to compete in a new, more nimble marketplace. Bill Sowerby, a retired GM manager, says of Pontiac: “It didn’t have a focus. Back in the ’70s and ’80s, the brand had its heyday. It had a kind of gold chains, bell-bottoms and leisure suits image of its era. But then it began to lose its brand equity” (“Pontiac Closing Stirs Muscle Car Memories,” The Washington Times, April 28, 2009). Maybe the GM bankruptcy had a positive if sobering effect: beginning to cull out some of the brands that could not be relevant to contemporary car buyers. 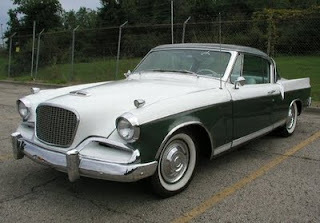 Never mind the Pontiac -- why not bring back the Studebaker? While the Pontiac brand will be gone by the end of 2009, other GM brands may live to see another day. Saturn, for example, was once viewed as the brand that was symbolic of a new direction for GM. When it was first introduced, Saturn’s association with GM was even downplayed. Now it too has been jettisoned by the company. But apparently Saturn will survive, because the Penske Automotive Group, the second largest dealership in the US, has agreed to purchase the brand and its 350 dealerships. In fact, Penske is in talks to “broaden Saturn’s lineup,” according to MotorAuthority.com (“Official: Penske Automotive agrees to buy Saturn,” June 5, 2009). What is happening to Saturn is not all that unusual. Lately, it seems, just as many bankrupt brands are revived in a different life form as enter the brand graveyard. The reason: that elusive quality called brand equity. The longer a brand name exists, and the wider its exposure, the more powerful and lasting its awareness. [once again, at this level of generality the statement will be both true and false; length of exposure only tallies with brand equity if the brand conveys a positive message that reaches beyond the goods or services with which it is associated] The brand name, bankrupt or not, has built value that counts for something. Even a brand that goes bust may have the potential for a second life. John Gerzema says on TheBrandBubble.com that Polaroid “once was simply ‘magic’” but now it is “perceived as 35 percent less up-to-date and 23 percent less visionary than Canon.” Gerzema analyzed data from the BrandAsset Valuator, a massive brand database, to arrive at this conclusion. Bankrupt brand or not, the brand name “Polaroid” lives on. As recently as 2009, a digital camera with a built-in printer called the Polaroid PoGo was introduced. In April 2009, the Polaroid brand was purchased by a company that intends to license the name globally. Sharper Image, along with bankrupt brand names Linens ’n Things and Bombay, has been purchased by a partnership of two liquidators, Hilco in Toronto and Gordon Brothers in Boston, for about US$ 175 million (“Brand Names Live After Stores Close,” The New York Times, April 14, 2009). The Sharper Image name is already on new merchandise that appears in Macy’s, JCPenney and Bed Bath & Beyond. Linens ’n Things is selling through a website. Bombay is expected to become a line of furniture. Other brands that have appeared to have gone out of business are still very much in business. Retailers CompUSA and Circuit City, for example, were liquidated, but the assets of both were purchased, and they still operate under their original names via online stores. The website SEOBook.com points out that keeping the Circuit City brand alive online makes good business sense: “CircuitCity.com was quickly relaunched last week to capitalize on the remaining brand strength and traffic to the website…That traffic is cheaper than AdWords, will pay for itself in less than a year, and since they are a corporation the Google rankings and traffic will stick” (“What Does $14 Million Worth of Page Range Look Like?” SEOBook.com, June 11, 2009). [The same line of thought encouraged the current owners of the Woolworths brand in the UK to buy it as a bankrupt bricks-and-mortar brand and turn it online. As yet it's too early to know if this was inspired business strategy or a waste of time and effort]. In times past, a bankrupt brand might have been abandoned. But today, bankrupt brands represent a new business opportunity for companies to acquire a well-known name for below-market value and revive it. With the expense of launching a new brand, it may in fact be cheaper to keep a bankrupt brand going, as long as it can remain viable, fresh and current. It could be that negative associations with bankruptcies are lessening, simply because there are so many of them [Doesn't this depend on the sector? Automobile fans will tolerate any number of financial disasters for the Jaguars, MGs and Aston Martins of this world, it seems, since even the act of running a car is seen as a drain on one's finances]. Oddly enough, bankrupt brands could end up being beneficiaries of a weakened economy. After all, if a brand name lives on despite adversity, it may be regarded by consumers as a beacon in the storm". IP Finance really enjoys reading articles like this since, love them or loathe them, they force us to think afresh about topics that we can easily take for granted. But what do readers think? "Brand Failures" by Matt Haig should be read in conjunction with the article. Technology changes bankrupted Polaroid because the company had concentrated on instant film cameras and did not follow technology changes. Polaroid was a brand devised by Dr Land for his plastic polarising film in the 1930's and only became associated with photography later. Kodak had a near escape as photography became digital but was better prepared. In the automobile industry a Chinese manufacturer has bought a portfolio of well regarded British brands. Perhaps a new Austin or Morris car will appear. Interesting article and commentary. An observation - in the clothing sector a bankrupt or forgotten brand has the ability to revive and come back stronger. Puma is a good example of a 80s/90s forgotten brand that then became very fashionable by capitalising on its then shunned (in favour of Nike & Reebok) heritage and retro image. On Jeremy's comment about american culture - Von Dutch showed a remarkable ability to globalise despite being closely tied to American culture but perhaps that was because the celebrities starting displaying it on T shirts with fancy designs from Christian Audigier? I would imagine that a bankrupt bank or aeroplane brand would be almost impossible to revive.